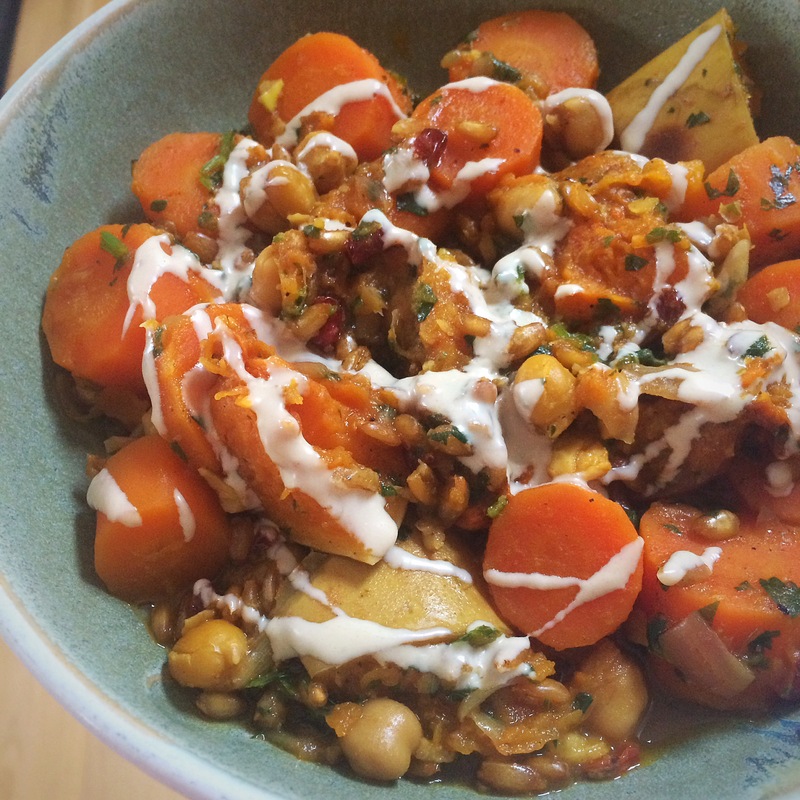 It’s no secret that I love autumn, I love everything about it: the cooler temperatures, the beautiful colours, the changing leaves, the abundance of root vegetables…I didn’t mean to make something that almost epitomises autumn in a bowl, but that’s how it ended up! Maybe it’s just in my soul?! In the beginning it was going to be a soup, but I can’t always bring myself to blend up the vegetables, they look too good whole, so this morphed into something else, not really a stew because it’s not very liquid, maybe a warm salad, or just as the title of the post says: ‘Moroccan spiced carrots, chickpeas and spelt’. I just kept adding things until I thought it was perfect! In a large saucepan I heated some coconut oil, and added some chopped red onions over a medium heat; after several minutes and once the onions looked liked they were starting to brown, I added chopped garlic, cooked for a minute, then added liberal amounts of a Moroccan spice mix that I made previously. Again I cooked this for no more than a minute then added water to stop the spices from burning. I then added a great pile of peeled and chopped carrots, topped up the water until it covered them, added salt and pepper, then brought it to the boil. 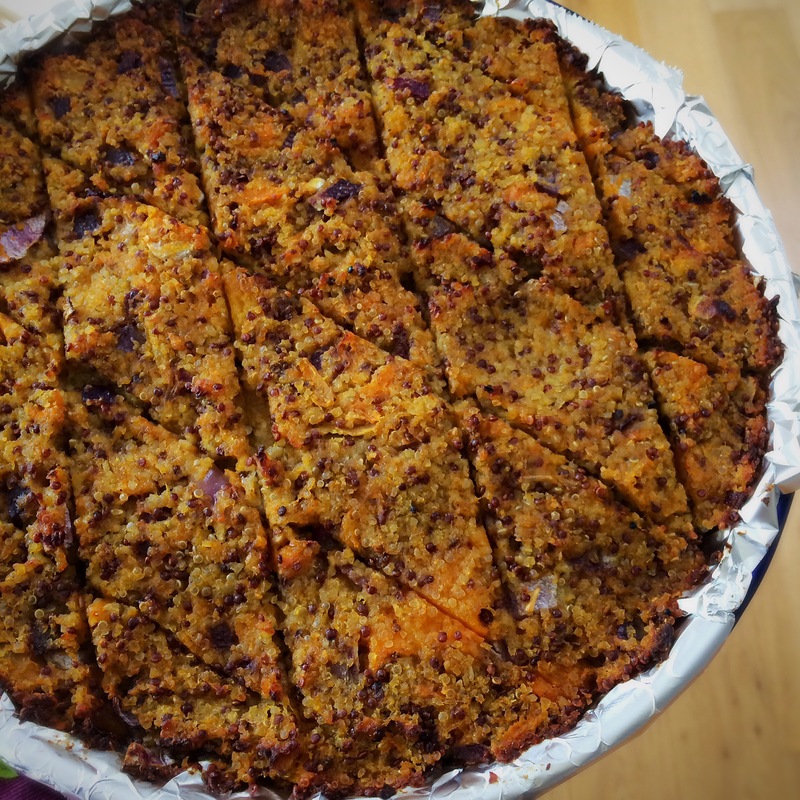 As the carrots cooked, I added some spelt, then later some chickpeas and chunks of butternut squash that I’d already roasted, chopped coriander (leaves and stalks) and finally some dried barberries for the colour and little surprise shots of their tart sweetness. And pretty much left it to bubble away until the carrots were cooked, but not mushy, and the spelt was cooked, adding water when necessary. Eating some with some tahini, as I did when it was just made above, you can still see the lovely colours of the individual ingredients. 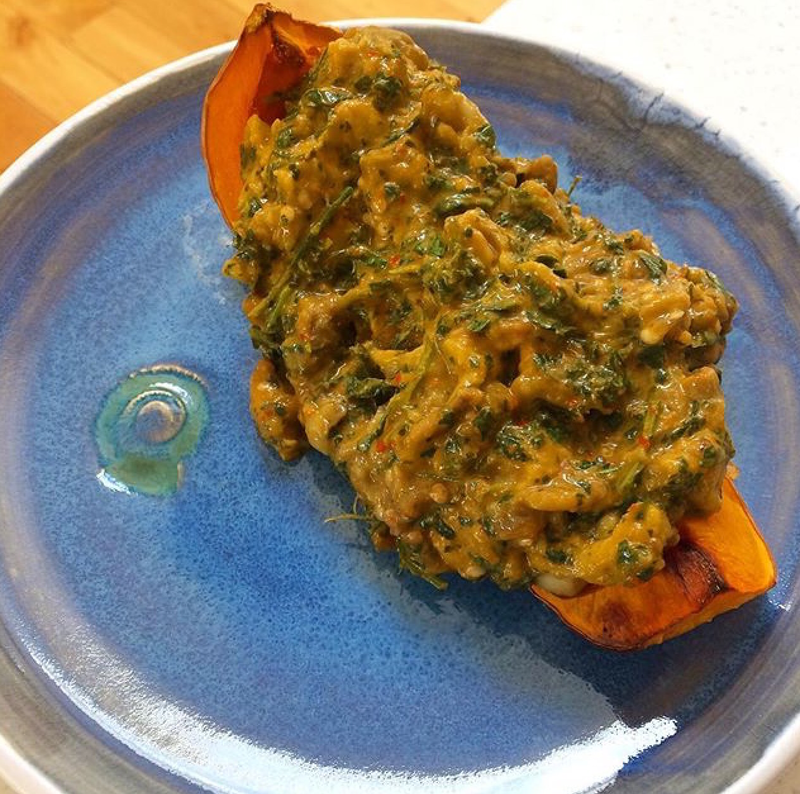 By the next day, the flavour had developed even more but the colours had all merged together and become one autumnal palette..
It’s the kind of dish that just gets better and better, and one I’ll be making again and again, and no doubt evolving as I do! 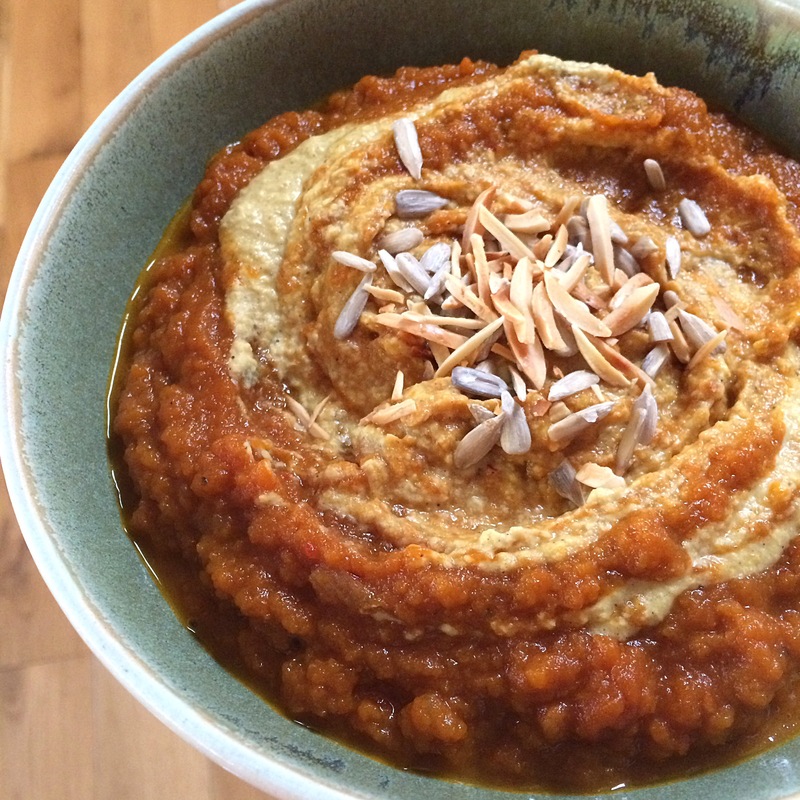 This entry was posted in Butternut squash, Coconut Oil, Dairy Free, Dinner, Gluten Free, Healthy, Lunch, Middle Eastern, Tahini, Vegan, Vegetarian and tagged cooking, recipes on September 29, 2017 by Elaine @ foodbod. 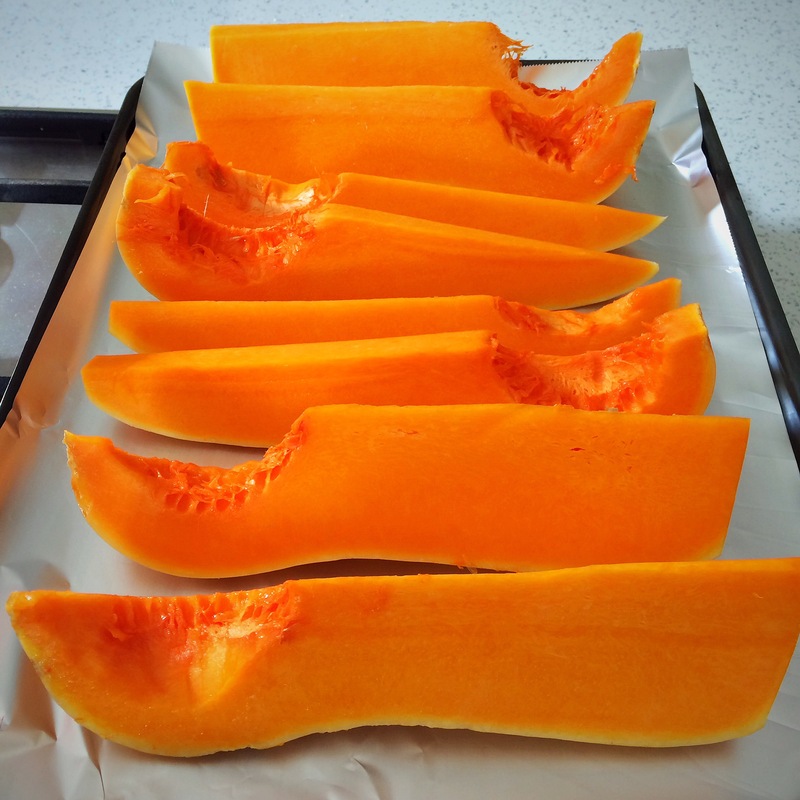 I routinely buy large butternut squashes (Costco is good for them in the U.K.) and I cut them into wedges (or in half if they’re smaller), remove the seeds, and roast them. I don’t peel them, I don’t use oil, just put them in a hot oven, usually when I’m cooking something else too, and leave them until I’m happy with them. 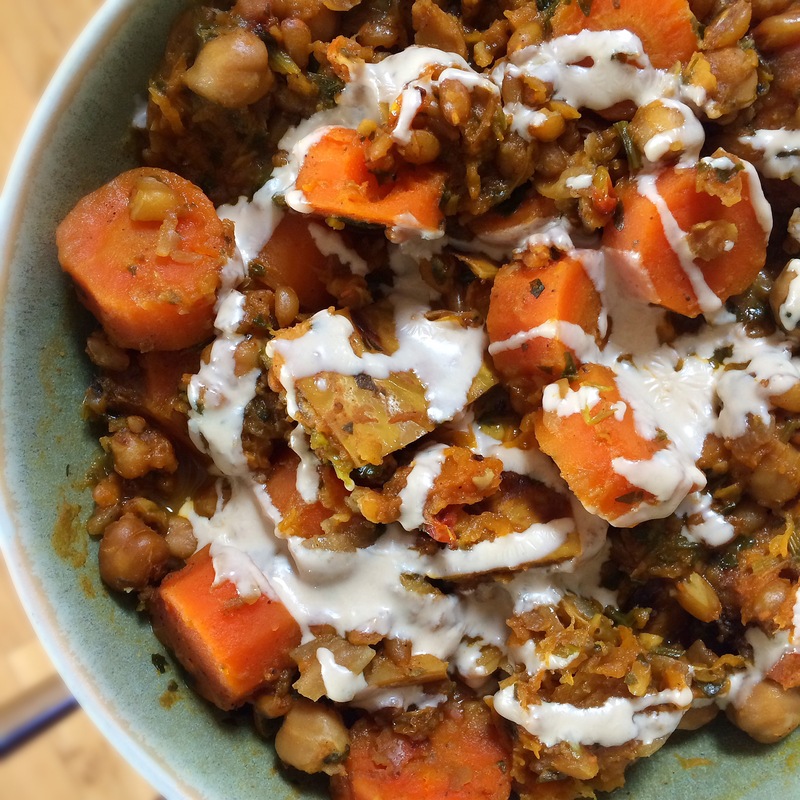 This is basically my alternative to a baked potato I guess – but with more flavour as far as I’m concerned. 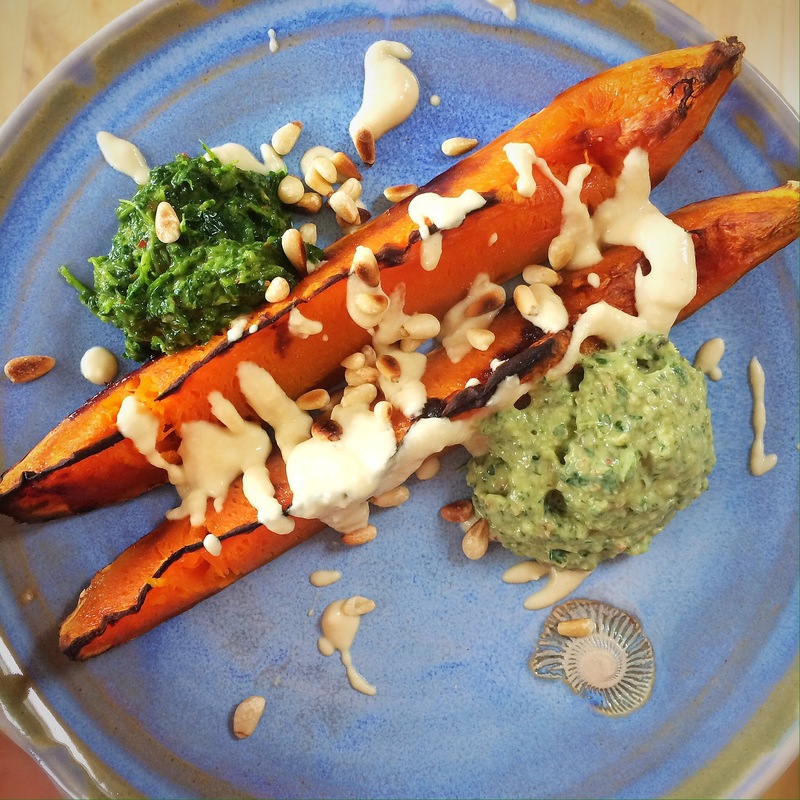 Or they can be loaded up like nachos or tacos, or spread with goats cheese instead of bread, or just drizzled with tahini. Or chopped up to be part of a salad, warm or cold, or added to cooked grains…I could happily go on and on…. I think I’ll add this to my ‘pimp your veg‘ collection…have a good week! 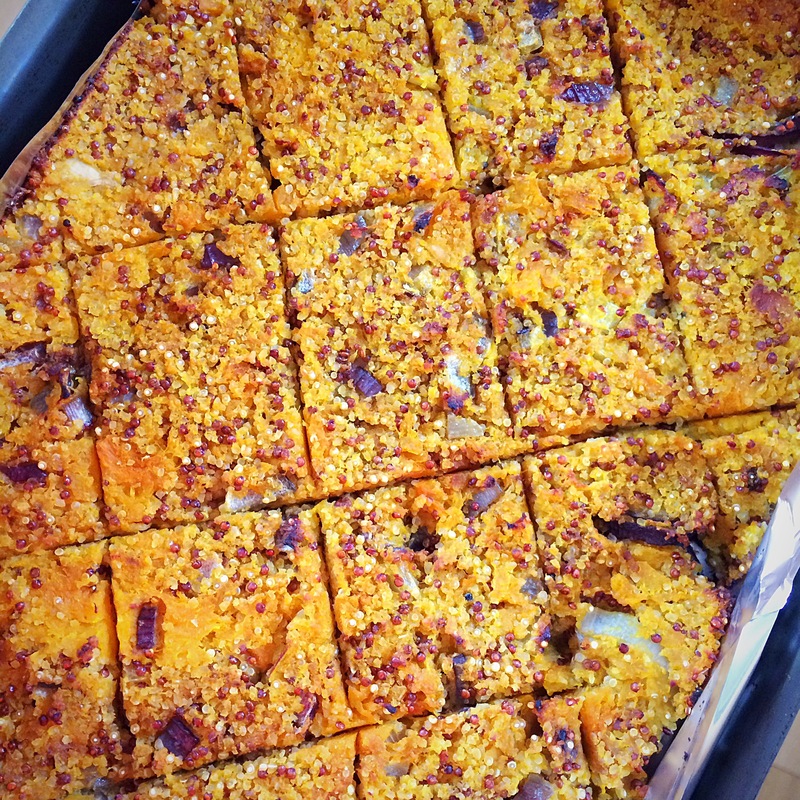 This entry was posted in Butternut squash, Dinner, Gluten Free, Healthy, Leftovers, Lunch, Roasted Vegetables, Vegan, Vegetarian and tagged cooking, reicpes on April 18, 2017 by Elaine @ foodbod. 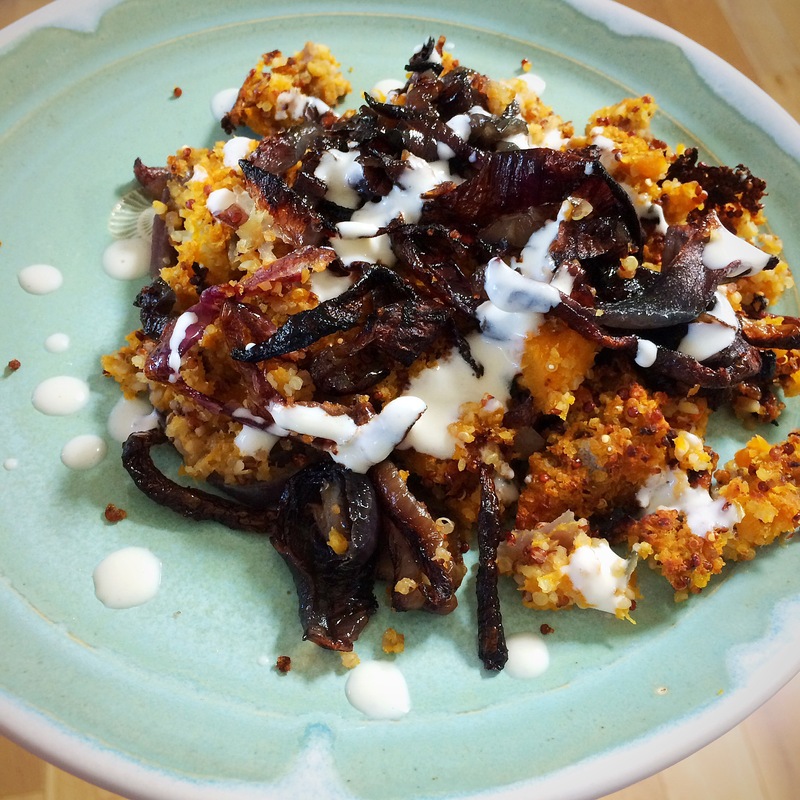 A typical middle eastern ‘kibbeh’ dish would include meat; this being my blog, and me being wholeheartedly vegetarian, this version does not…it is however, a really simple dish to make, eminently useful if you have any vegetarian guests at any time, and great for leftovers and weekday lunches. 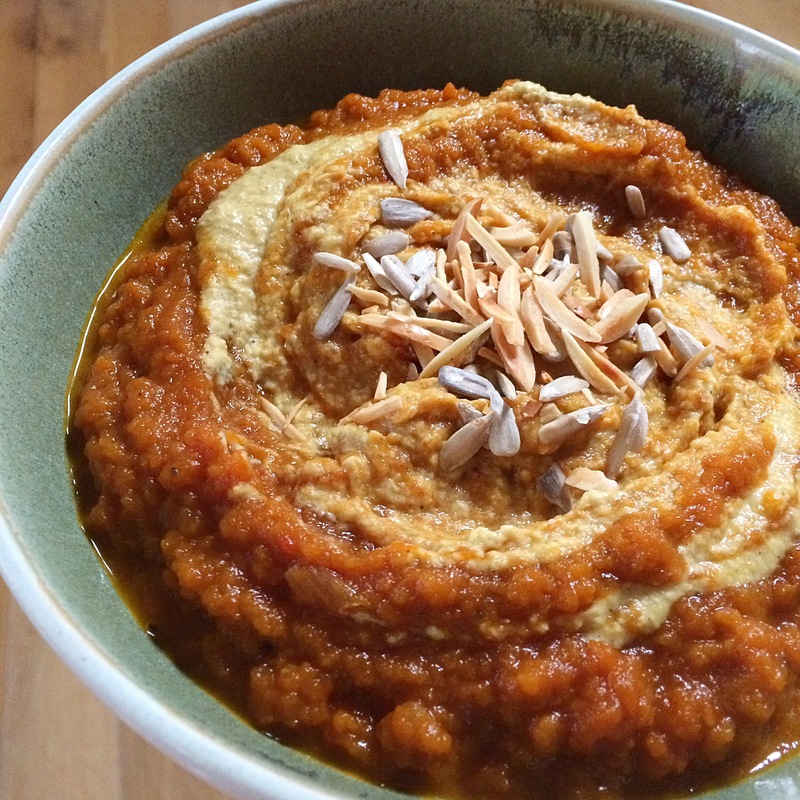 Of course, I threw mine together, but for more detail, you could refer to this recipe for a sweet potato version. 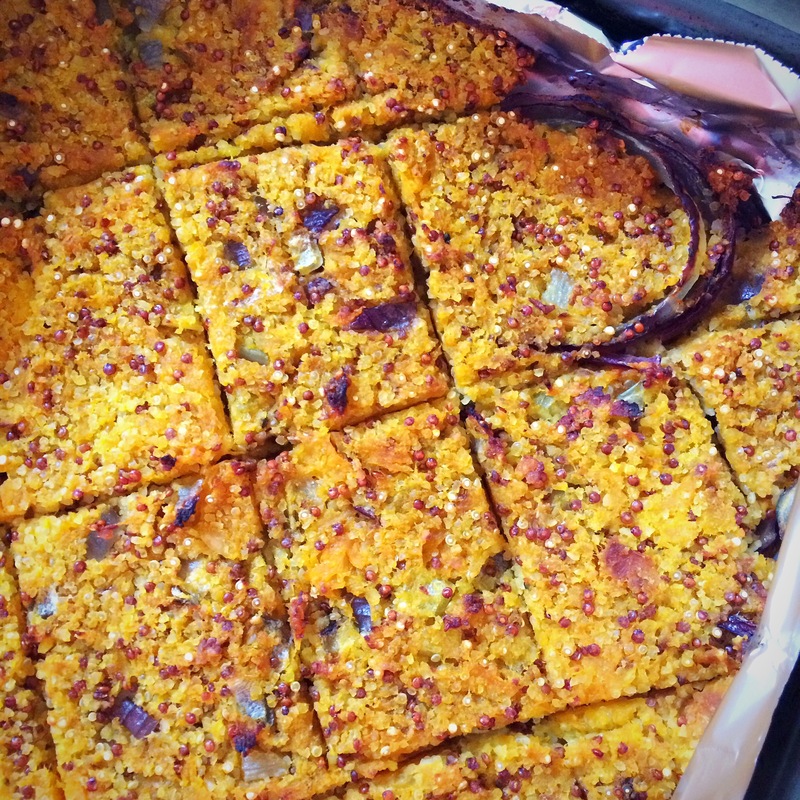 In essence, this is a bake, almost a cake, utilising the grains to draw moisture from the vegetable of choice as it cooks, to create a finished article that holds together when you cut into it. 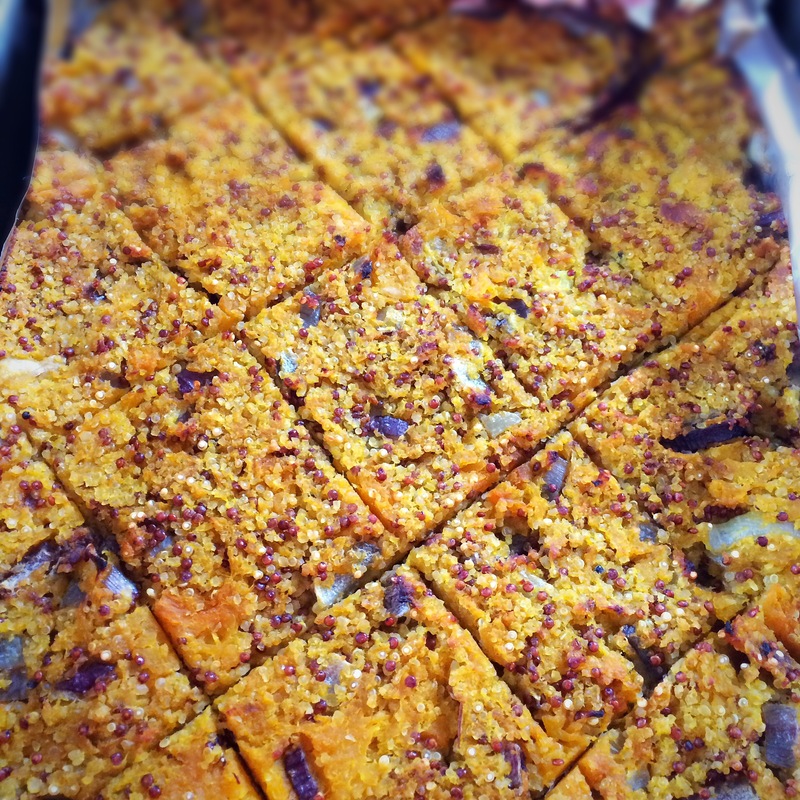 I made my kibbeh in the photos using butternut squash that I had previously baked, mashed with a bulgur wheat and red and white quinoa mix, ground cumin, ground coriander, finely chopped red onion, olive oil and a pinch of salt. This was spooned over a bed of sliced red onions drizzled with olive oil, and baked for 25-30 minutes. You could easily add other spices and/or herbs to create your own flavours, I think some ras el hanout or baharat would be good. 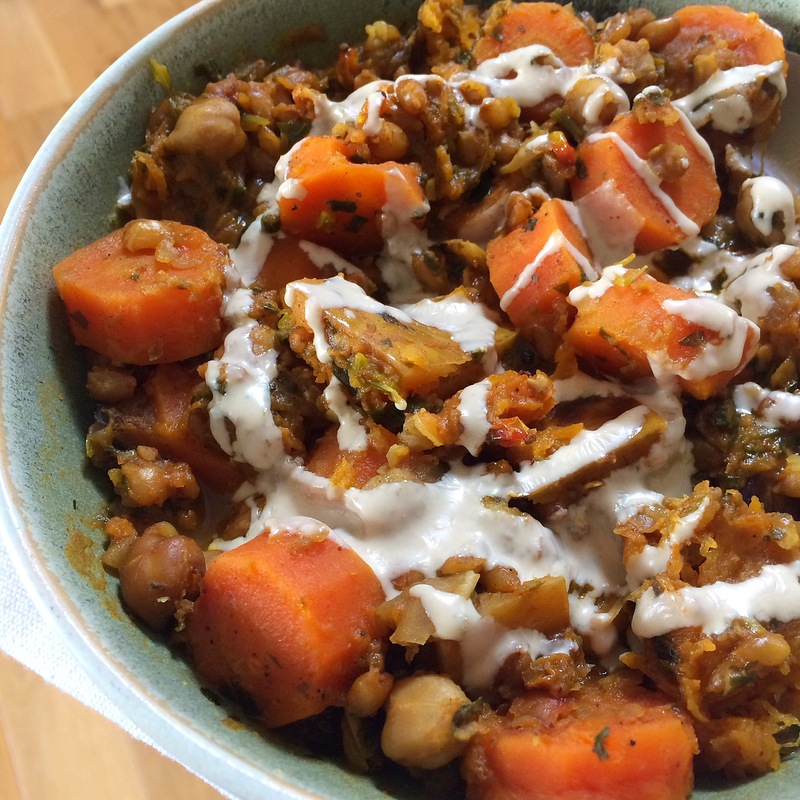 You could also play with using other vegetables and grains; I’ve made very similar dishes using a spiced tomato base and quinoa, I think it’s an easy basis to experiment with. This was another one I’ve made recently using only bulgur wheat, and you can see how it keeps its shape when cut. 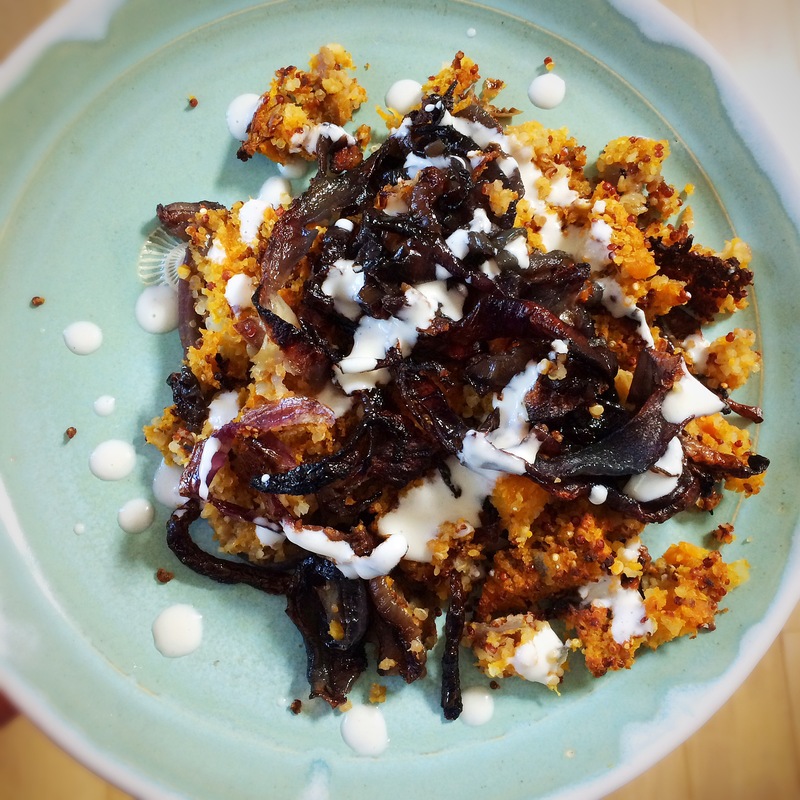 I had some leftovers with extra caramelised onions and a dressing of buttermilk, tahini, garlic and lemon juice. 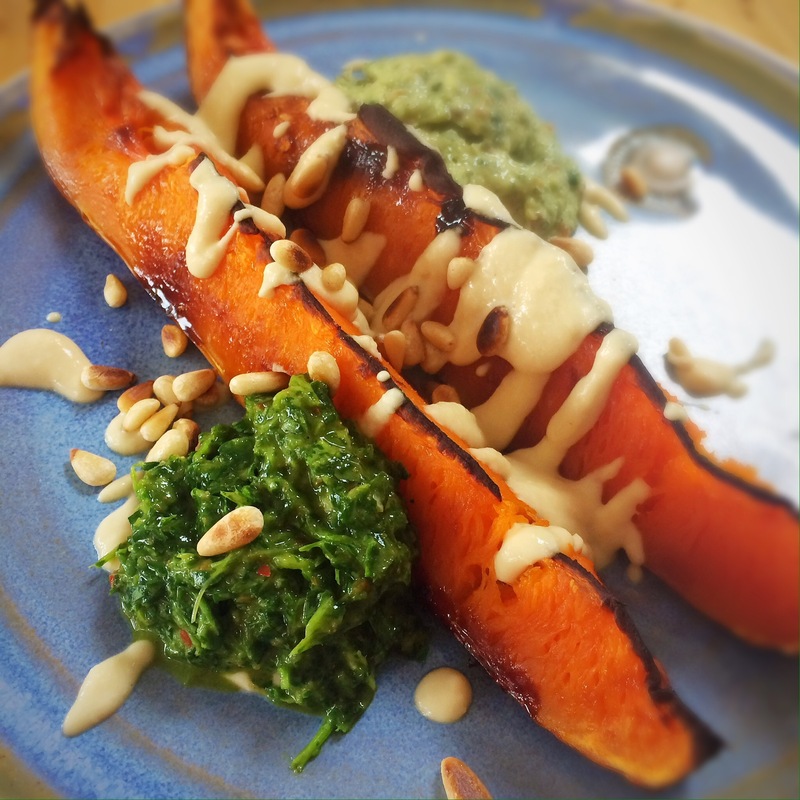 The sweetness of the butternut squash/sweet potato, however you make it, works well with slightly tart of acidic flavours. Goats cheese would be perfect! Have a great weekend, and happy Easter! 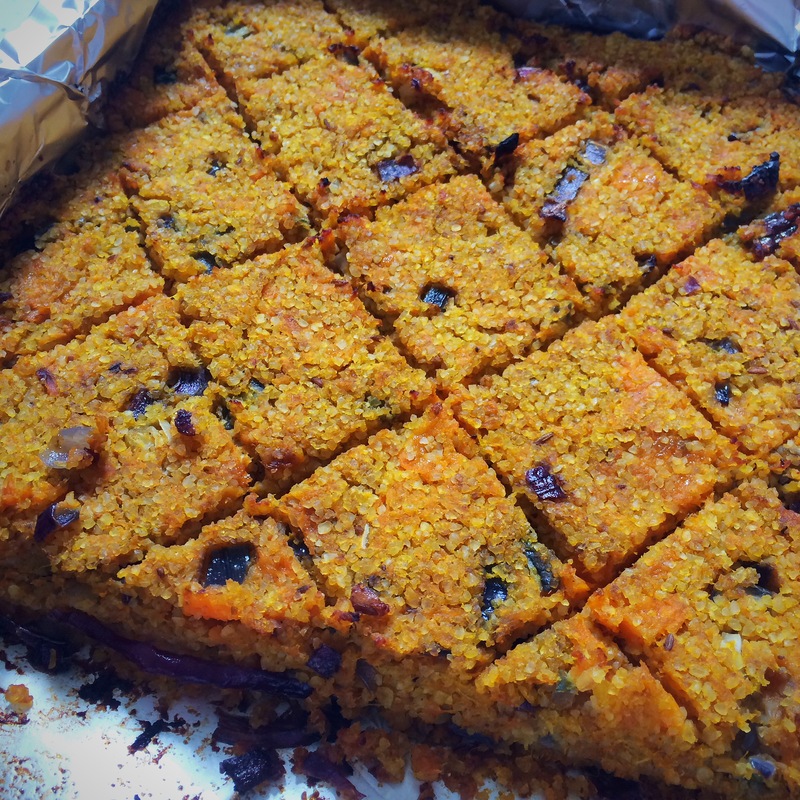 This entry was posted in Butternut squash, Dinner, Healthy, Leftovers, Lunch, Mezze, Middle Eastern, Roasted Vegetables, Sweet Potato, Vegan, Vegetarian and tagged cooking, kibbeh, Recipe on April 14, 2017 by Elaine @ foodbod. Yes, another thick soup from my kitchen. This one is really simple, just several trays of vegetables, all baked/roasted, then puréed together.. 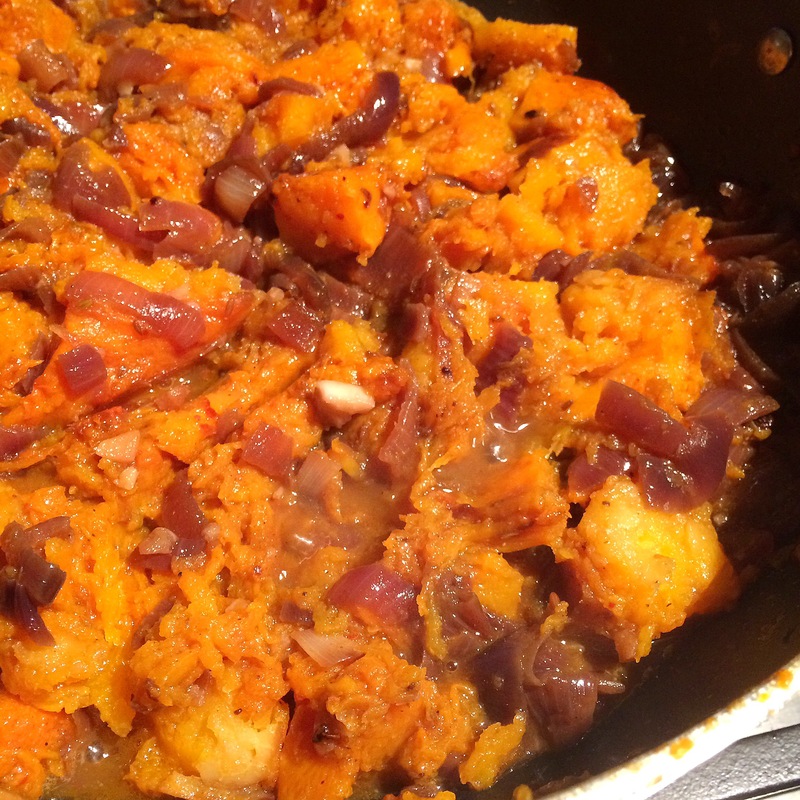 This includes butternut squash, sweet potato, red onions and garlic. 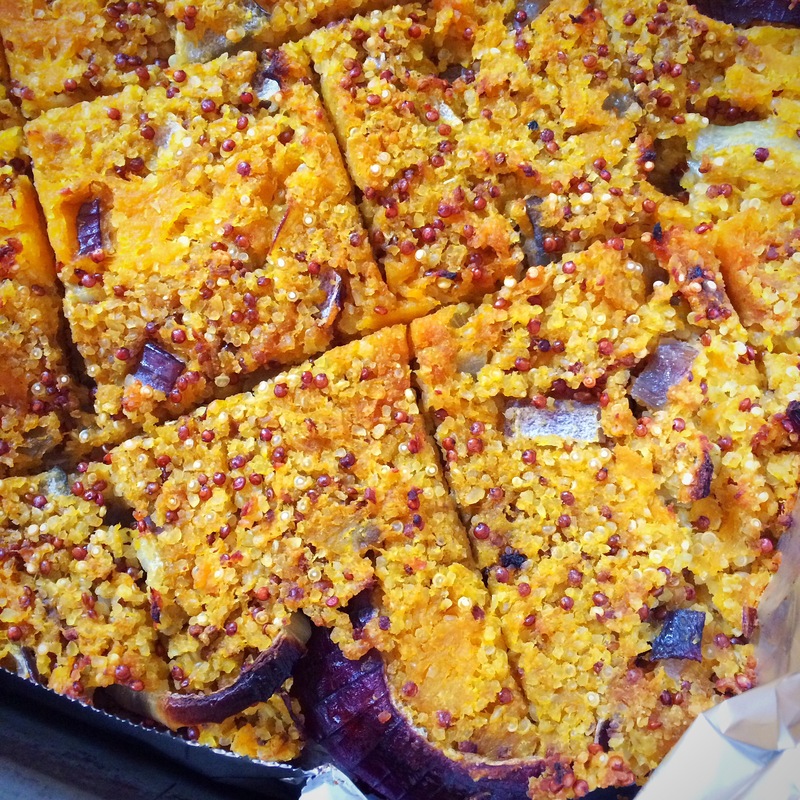 I chopped up the butternut squash, sweet potato and red onions, split a whole bulb of garlic into cloves, and roasted/baked them all separately on large trays. 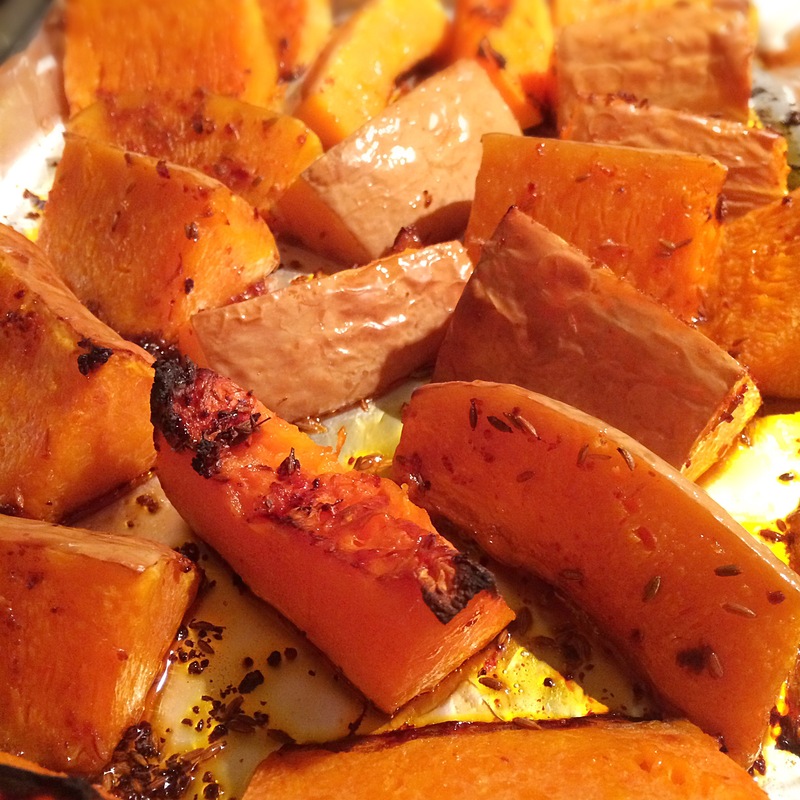 (I say baked because I didn’t put any oil with the butternut squash, I think it cooks well chopped into huge wedges and baked, whereas the other elements I drizzled with olive oil.) 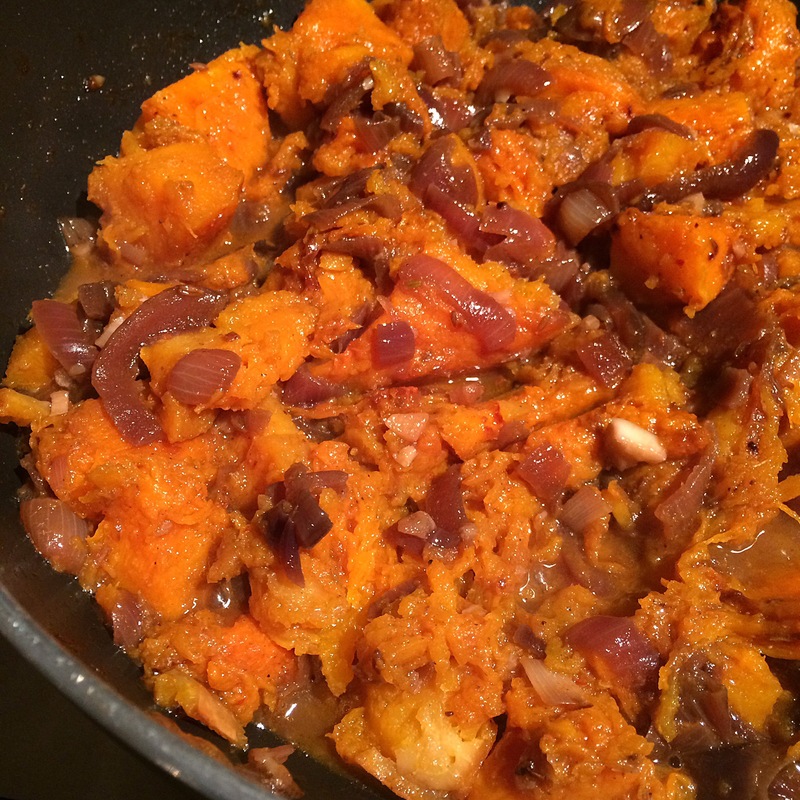 Once cooked, I removed the skin from the butternut squash, left the skin on the sweet potatoes, squeezed the garlic out of their skins, and added them all and the onions and all of the oil and juices from the pans, to a large pot over a medium heat. 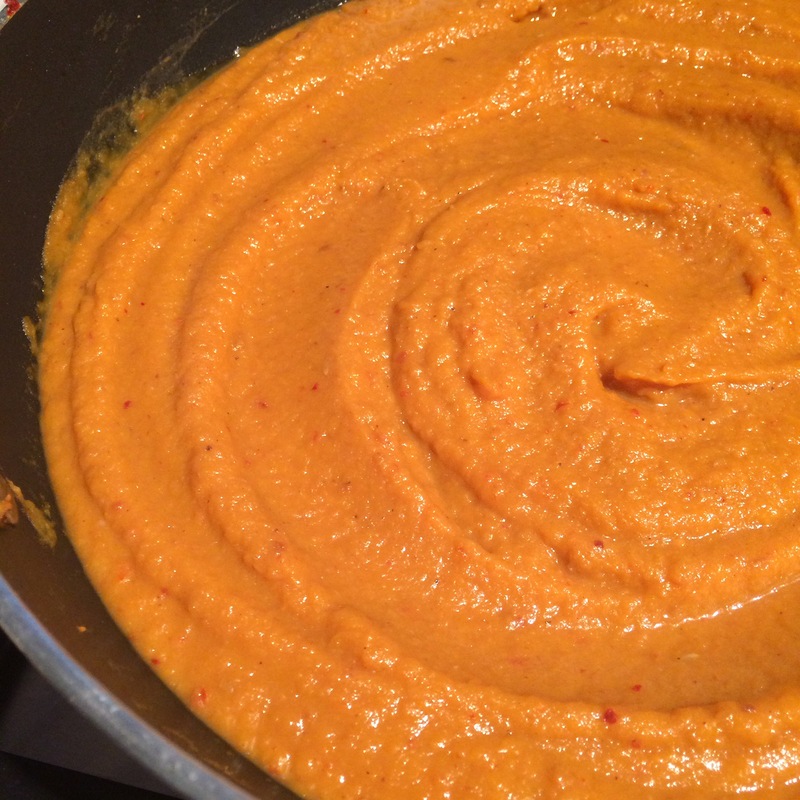 I added some water and chilli flakes and started to mash it all together, then blended it with a stick blender. Done! 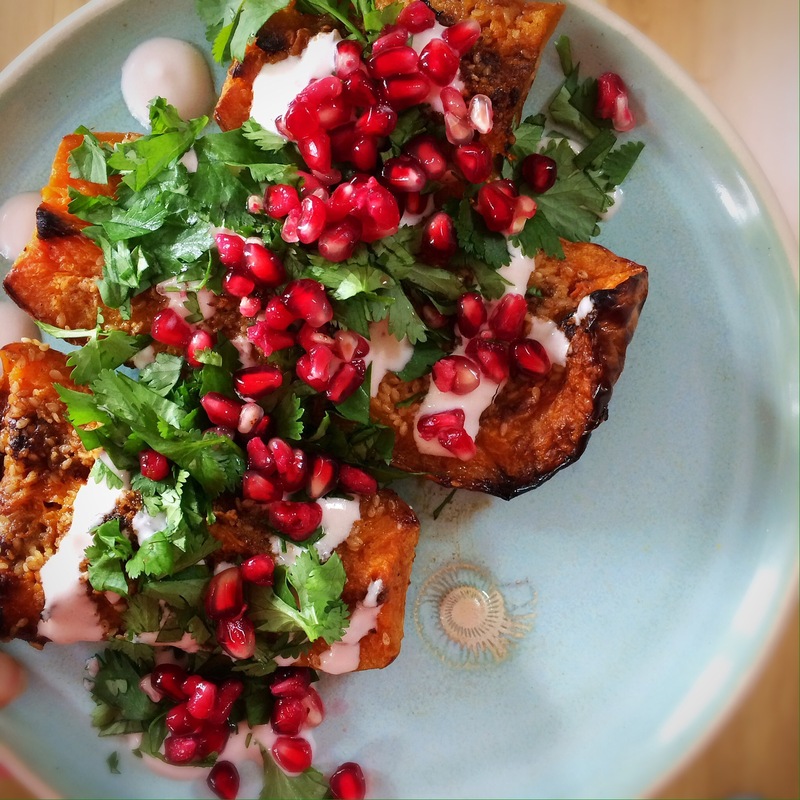 This entry was posted in Butternut squash, Gluten Free, Healthy, Lunch, Mezze, Middle Eastern, Roasted Vegetables, Sweet Potato, Vegan, Vegetarian and tagged cooking, recipes, soup on November 18, 2016 by Elaine @ foodbod. 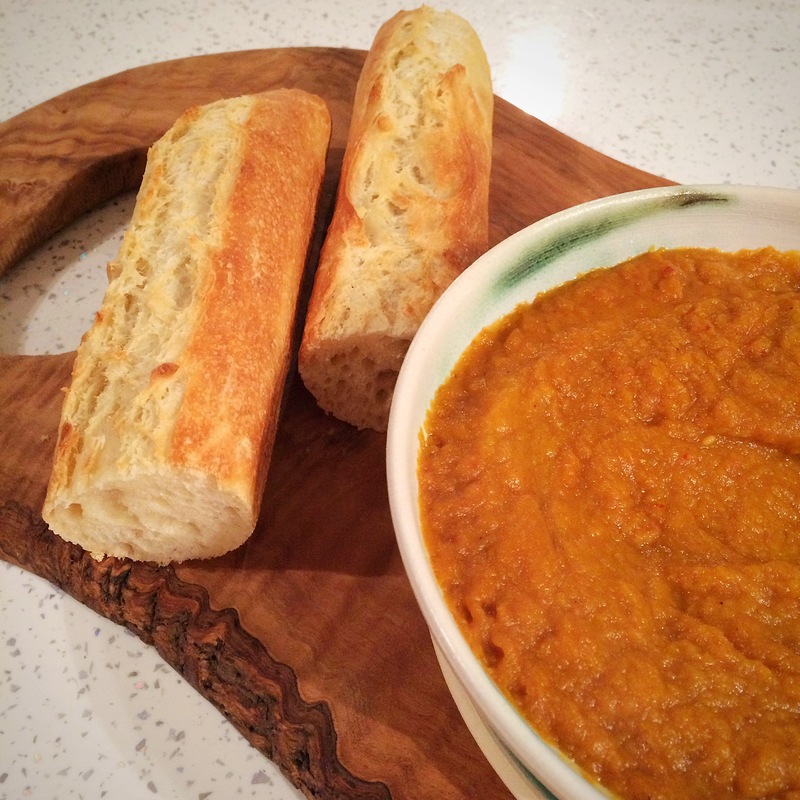 My version of butternut squash soup.. This is also how my husband likes soup, which is why I made this last week, to make portions for him to take to work. 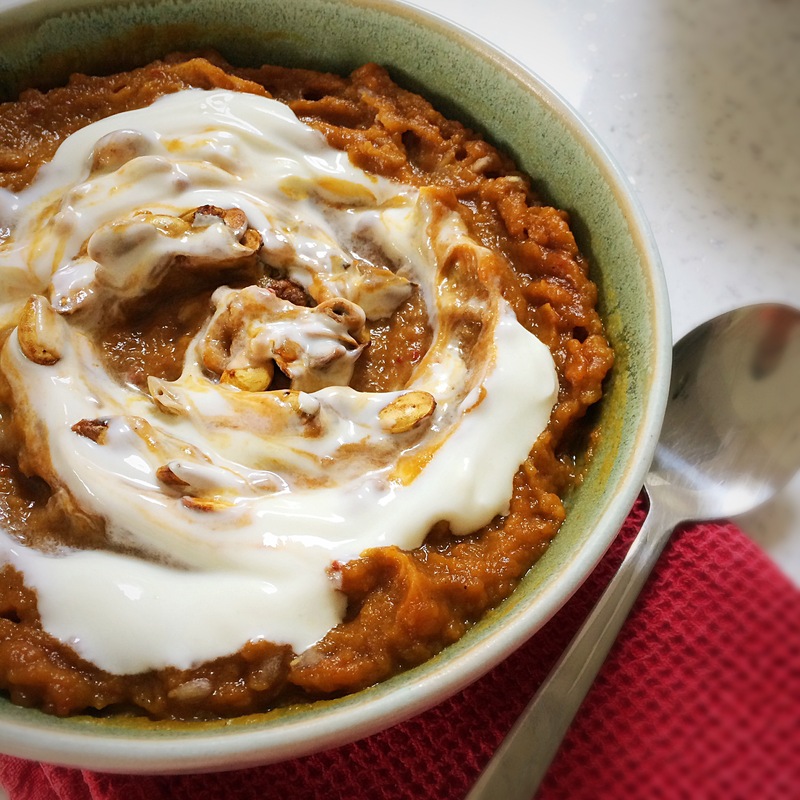 Although I did keep a bowl full aside for me, which I ate with a swirl of yoghurt and some of the butternut squash seeds that I’d toasted (above). 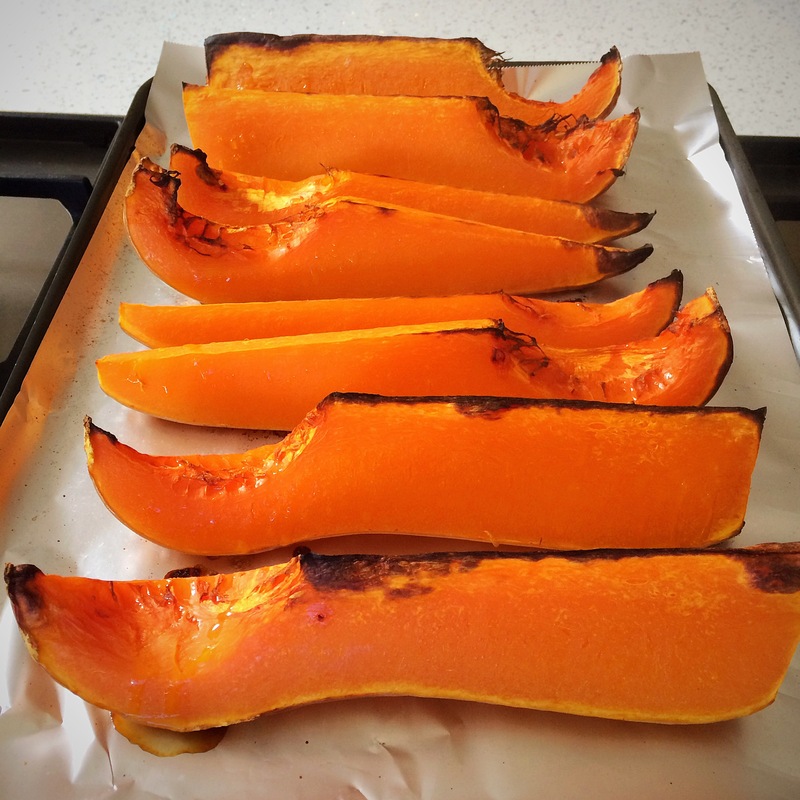 Making this was really simple, the hardest part was not eating the lovely roasted squash when it came out of the oven.. It came out so so tasty! Whilst the squash was roasting, I chopped up 3 medium red onions, and a few cloves of garlic. In a pan over a medium heat I cooked the onions with a splash of oil until they started to soften and caramelise, then added the garlic and cooked it through. 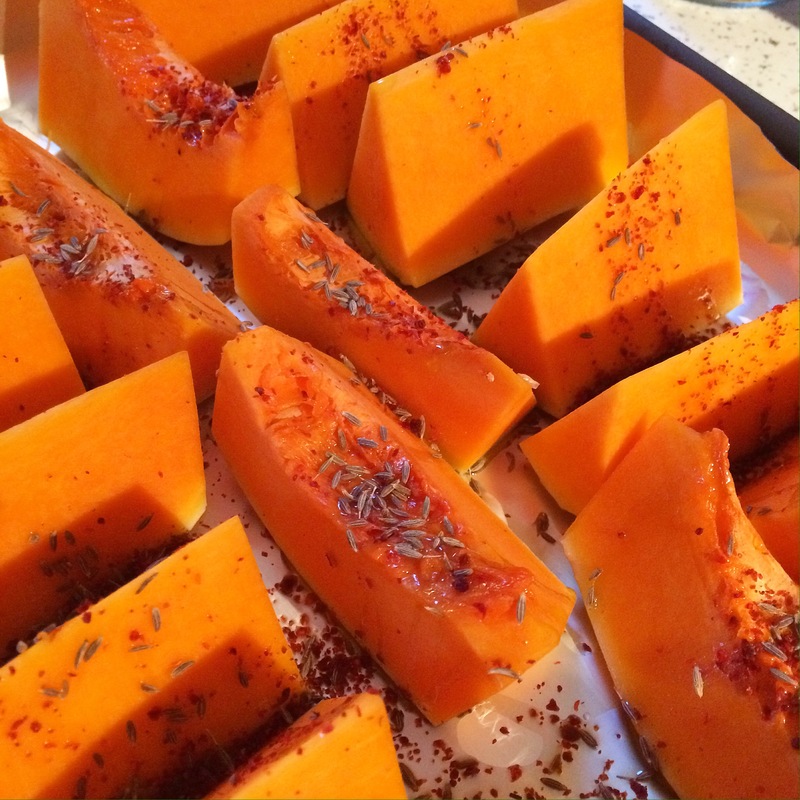 Once the butternut squash was cooked and slightly cooled, I peeled off the skin and added the chunks to the pan with the onion and garlic, along with some ground roasted cumin, ground nutmeg, pepper, salt and lots of Aleppo chilli flakes.. I could have happily eaten it like this! But I managed to force myself not to eat it ALL….! I cooked it all together for a few minutes, mashing the squash as I did so. I added some water and stirred it through, then using a stick blender, started to blend the mixture, adding water as I needed it, until i got the consistency I wanted..
Obviously, you can make it thinner or thicker, to suit your taste. I served a portion to my man that evening with a baguette I had baked, and thoroughly enjoyed seeing him enjoy it – I’m easily pleased! 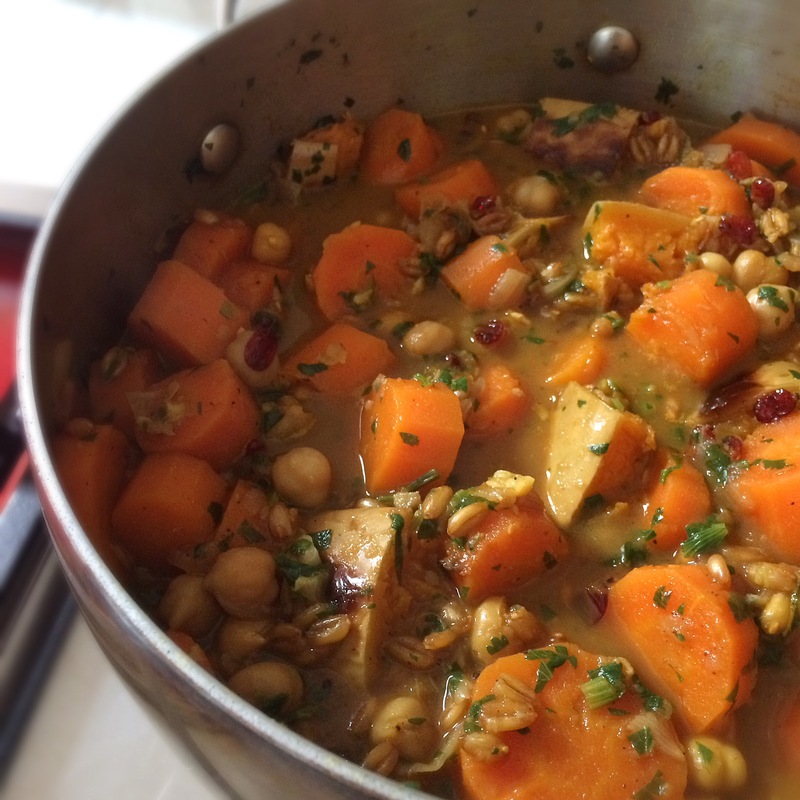 This entry was posted in Butternut squash, Dairy Free, Dinner, Gluten Free, Healthy, Lunch, Vegan, Vegetarian and tagged cooking, recipes, soup on November 11, 2016 by Elaine @ foodbod.